The Religious Education Curriculum at St Matthias Primary School uses a combination of two schemes of work from the Worcester Diocese. 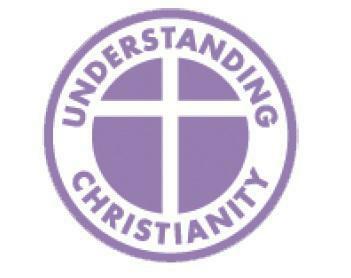 The key purpose of these materials is to support pupils in developing their understanding of Christianity, as a contribution to their understanding of the world and their own experience within it. It does this by integrating pupils’ developing understanding of significant theological concepts within Christianity with their own self-understanding and understanding of the world, as part of their wider religious literacy. • To enable pupils to know about and understand Christianity as a living world faith, by exploring core theological concepts. • To enable pupils to develop knowledge and skills in making sense of biblical texts and understanding their impact in the lives of Christians. their own growing understanding of religion and belief (particularly Christianity), of themselves, the world and human experience. Understanding Christianity’s approach to teaching about Christianity builds up pupils’ encounters with biblical concepts through texts, placing the texts and concepts within the wider Bible story. Each unit addresses a concept, through some key questions, exploring core Bible texts, their impact for Christians, and possible implications for pupils. Where does this fit in the ‘big story’? How do Christians use this text? How does this contribute to understanding key Christian ideas? How, then, do Christians live...? … in the Christian community? … in their everyday living? What impact do Christianity and Christians have in the world? How has this had an impact on how people see the world? The Principle Aim of RE is to engage pupils in systematic enquiry into significant human questions which religion and worldviews address, so that they can develop the understanding and skills needed to appreciate and appraise varied responses to these questions, as well as develop responses of their own. Children in EYFS encounter religions and worldviews through special people, books, times, places and objects and by visiting places of worship. They listen to and talk about stories. Children are introduced to subject specific words and use all their senses to explore beliefs, practices and forms of expression. They ask questions and reflect on their own feelings and experiences. They use their imagination and curiosity to develop their appreciation of and wonder at the world in which they live. Which places are special and why? Which times are special and why? During the key stage, children are taught knowledge, skills and understanding through learning about Christians and Jewish people. The children will also encounter other religions and worldviews in thematic units. 1.1 Who is a Christian and what do they believe? 1.3 Who is Jewish and what do they believe? 1.6 How and why do we celebrate special and sacred times? A1. Recall and name different beliefs and practices, including festivals, worship, rituals and ways of life, in order to find out about the meanings behind them. B1. Ask and respond to questions about what individuals and communities do, and why, sothat pupils can identify what difference belonging to a community might make. C1. Explore questions about belonging, meaning and truth so that they can express their own ideas and opinions in response using words, music, art or poetry. A2. Retell and suggest meanings to some religious and moral stories, exploring and discussing sacred writings and sources of wisdom and recognising the traditions from which they come. B2. Observe and recount different ways of expressing identity and belonging, responding sensitively for themselves. C2. Find out about and respond with ideas to examples of cooperation between people who are different. A3. Recognise some different symbols and actions which express a community’s way of life, appreciating some similarities between communities. B3. Notice and respond sensitively to some similarities between different religions and worldviews. C3. Find out about questions of right and wrong and begin to express their ideas and opinions in response. Pupils will extend their knowledge and understanding of religions and worldviews, recognising their local, national and global contexts. They will be introduced to an extended range of sources and subject specific vocabulary. They will be encouraged to be curious and to ask increasingly challenging questions about religion, belief, values and human life. The children will learn to express their own ideas in response to the material they engage with, identifying relevant information, selecting examples and giving reasons to support their ideas and views. L2.2 Why is the Bible so important for Christians today? L2.3 Why is Jesus inspiring to some people? U2.5 Is it better to express your beliefs in arts and architecture or in charity and generosity? L2.7 What does it mean to be a Christian in Britain today? U2.6 What does it mean to be a Muslim in Britain today? L2.8 What does it mean to be a Hindu in Britain today? U2.7 What matters most to Christians and Humanists? A. Know about and understand a range of religions and worldviews. B. Express ideas and insights about the nature, significance and impact of religions and worldviews. C. Gain and deploy the skills needed to engage seriously with religions and worldviews. A1. Describe and make connections between different features of the religions and worldviews they study, discovering more about celebrations, worship, pilgrimages and the rituals which mark important points in life, in order to reflect on their significance. B1. Observe and understand varied examples of religions and worldviews so that they can explain, with reasons, their meanings and significance to individuals and communities. C1. Discuss and present thoughtfully their own and others’ views on challenging questions about belonging, meaning, purpose and truth, applying ideas of their own in different forms including (e.g.) reasoning, music, art and poetry. sources of wisdom and to beliefs and teachings that arise from them in different communities. B2. Understand the challenges of commitment to a community of faith or belief, suggesting why belonging to a community may be valuable, both in the diverse communities being studied and in their own lives. C2. Consider and apply ideas about ways in which diverse communities can live together for the wellbeing of all, responding thoughtfully to ideas about community, values and respect. A3. Explore and describe a range of beliefs, symbols and actions so that they can understand different ways of life and ways of expressing meaning. B3. Observe and consider different dimensions of religion, so that they can explore and show understanding of similarities and differences within and between different religions and worldviews. We have long been excited about our RE Curriculum and the unique contribution teaching and learning in RE was having on our pupils’ spiritual, moral, social, and cultural development. For us, RE has always provided an opportunity to develop higher order thinking around big questions. Our curriculum offers opportunities for our pupils to form and express their opinions, to appreciate others and to be creative in their learning. Following our successful SIAMs in 2012, we wanted to celebrate our high-quality learning in RE and decided to apply for the RE Quality Mark. The RE Quality Mark has two purposes: it recognises good practice in RE and also provides a powerful tool for development. We felt that working through the criteria for the award would enable us to reflect on and evaluate our provision, to see where the gaps were and to plan how we would move forward on key areas, collectively, as a whole staff. The process has definitely helped us raise the profile of RE and given us the chance consider our next steps for RE. To achieve the RE Quality Mark we needed to listen to our learners and collect evidence of every aspect of our RE provision. We then had a visit from the assessor. A large part of the assessment was focussed on what our learners were saying about RE across the whole school. This is an amazing outcome and we are very pleased that all the hard work that takes place at St Matthias on a daily basis has been recognised. A huge thank you and congratulations to all of the children, parents, staff, governors and the wider community for this wonderful achievement. • The clear and distinctive Christian values which guide all aspects of school life ensure every child feels secure and loved. • The strong links between the school and the church community promote a shared Christian vision for development and learning. • The religious education lessons challenge children to think for themselves leading to outstanding spiritual, moral, social and cultural development. • The vision and passion of all staff ensure that the school is on course to fulfil its mission to ‘Aspire, Believe, Achieve.’ enabling children to accomplish the very best they can academically and socially. At St Matthias we are extremely proud of this achievement and we are excited to implement the development points to our curriculum. • Provide a more structured approach to the planning of collective worship to ensure that a broad and balanced programme of themes is covered leading to a greater impact on the spiritual development of the children. • Ensure that social, moral, spiritual and cultural experiences are planned and embedded into the whole school curriculum enabling children to explore, reflect and develop their own beliefs and values. We have already made changes to the Collective Worship programme and through our new and exciting curriculum we are providing even more opportunities for the children to explore, reflect and develop their own beliefs and values.